SECRET Hawaiian system for WEALTH, HEALTH, PEACE and more? 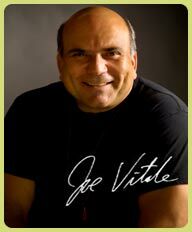 – Dr. Joe Vitale, star of the Secret, and author of the #1 bestseller, The Attractor Factor (Second Edition), Life’s Missing Instruction Manual, The Key and many others. I’ve been reluctant to make these videos available to the public as people spent thousands of dollars to travel to this event from every continent on the globe. I’m about to give in due to public demand and tell you more about this event and where you can get access to these videos, but first I want to ask you some very telling questions. Do you EVER feel controlled by past beliefs you have about yourself? If so, don’t feel bad. Everyone (me included) gets affected by old mental programs running through their minds at one time or another. Unfortunately most people run these old mental programs over and over again and live their lives in a state of paralysis. Maybe you? (These limiting beliefs are insidious and MUST be erased – just like you would erase chalk from a chalkboard.) You need to completely “CLEAR” them from your mind. Once you CLEAR YOURSELF OF LIMITING BELIEFS ABOUT YOURSELF, you can easily and effortlessly live a life filled with miracles in every area of your life. You can attract MORE MONEY than you can spend, a fitter HEALTHIER body, more loving RELATIONSHIPS, a successful NEW BUSINESS, or anything else. And it can be done quickly when you follow a little known SECRET Hawaiian system for WEALTH, HEALTH, and PEACE. A few “Zero Limits” attendees having fun together in Maui! What is the difference is between data and "zero"
And if that is not enough for you – THERE’S LOTS MORE! And finally ---- how to get to the incredible state of “Zero” itself. "If you are a perpetual student of life seeking the truth, you just can't leave this stone unturned, discovering Zero Limits was like discovering the missing link! We thought traveling to Maui Hawaii for the Zero Limits Conference was a journey, it so paled in comparison to the journey Dr. Joe Vitale and Dr. Hew Len took us on! When you learn and grasp the power behind the life-altering 10 words that they teach, you learn about yourself, and when you learn about yourself, you absolutely hold the key to all that you desire!" This secret system isn’t about just becoming a success. This is NOT some motivation “rah” “rah” seminar like you hear about on late night TV. Zero Limits ISN’T some woo-woo pie-in-the-sky esoteric system. Zero Limits is all about life change and designing a life that transcends your past self-imposed limitations. Now believe me, I understand you may think this level of life change is impossible for you. That’s why you need to go through the Zero Limits (Live From Maui) experience on video. Once you watch these incredible videos and take action on what you learn, you will NEVER look at the world the same. Where you once saw lack – you will see abundance! Where you once saw limitations – you will now see victory! Where you once saw challenges – you will now see opportunity! But it will not happen until you RID YOURSELF OF SELF-IMPOSED LIMITATIONS. With Zero Limits (Live From Maui), you can move ahead in your life in ways you cannot even imagine right now. The question is, are you ready to take inspired action? If you’ve read this far, follow your inspiration and order Zero Limits (Live From Maui) today – and I’m even going to give you one heck of a RISK-FREE GUARANTEE! As you can tell, this was an incredible event. That means this is an incredible set of videos. Some people paid thousands to attend this event live in Maui. (One of the rare times I shared the stage with Dr. Hew Len.) My VP of Marketing advised me to charge $499 for access to Zero Limits (Live From Maui). 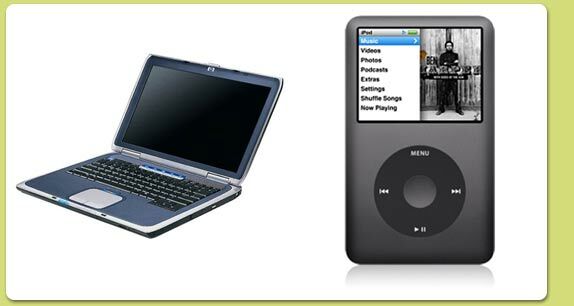 I’m tempted to charge it, but I won’t. Considering the economy and how much I want to share the power of Zero Limits with you, I want to be more than fair about this. I’ve been where you are and I want to help you “clear” yourself of all your past limiting beliefs and share all this other information with you. For right now, I’m going to let you watch or download Zero Limits (Live From Maui) featuring Dr. Hew Len and I, for ONLY $149. If you order today, I’m going to throw in a FREE downloadable bonus worth over $85! 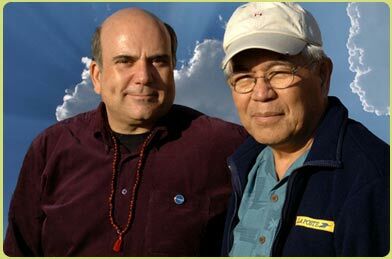 Dinner With The Divine is an exclusive talk I gave with the legendary Dr. Ihaleakala Hew Len in front of a few select “INVITATION-ONLY” guests. 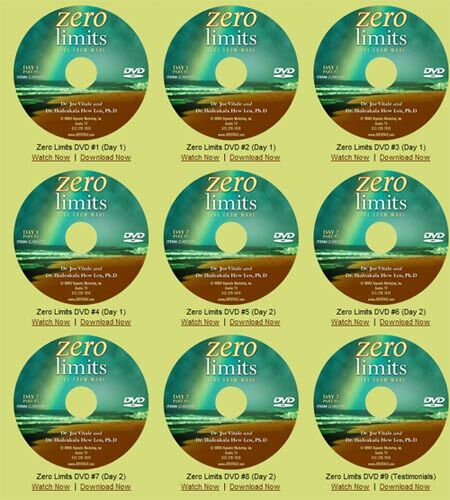 This talk (all captured on the 2-CDs) is the perfect compliment to Zero Limits (Live From Maui)! I’m not going to discuss the powerful details of this exclusive talk here. We covered way too much. 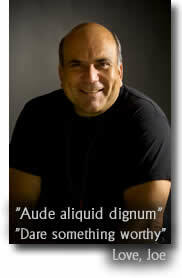 All I can say is that YOU WILL BENEFIT TREMENDOUSLY from this talk alone. You have to listen to the CDs to find out more. So are you ready to experience Zero Limits (Live From Maui)? If you’re reluctant to order, what’s stopping you? The truth is, that the only thing stopping you is your own doubt. Just keep in mind that this voice of doubt is keeping you from moving forward. Since you are receiving two whole days of instruction (from a Zero Limits event many people paid thousands to attend) for ONLY $149, you can imagine how FAIR this deal is. Your 100% Iron-Clad Money-Back Guarantee: If you're not happy any time within 60 days from your purchase, let me know and you will receive a 100% refund – no questions asked. Are you ready to CLEAR YOURSELF of limiting beliefs? Are you ready to FREE YOURSELF from your past? Are you ready to MOVE FORWARD in your life and leaving the old baggage behind? Are you ready to OPEN YOURSELF UP to all the possibilities all around you? Fill out this form to start your order. In closing, Zero Limits is about returning to the zero state, where nothing exists but anything is possible. In the zero state there are no thoughts, words, deeds, memories, programs, beliefs, or anything else. Just nothing. Star of The Secret and bestselling author of the #1 bestseller, The Attractor Factor (Second Edition), The Key, and Life’s Missing Instruction Manual.